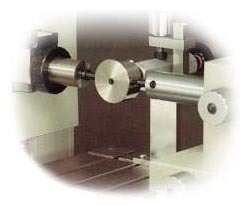 We provide quality measuring instruments for the gage calibration industry. Gage and Instrument inspection is an important factor for ISO 9000 , QS 9000 and ISO 17025 accreditation. Our products range is capable of inspecting solid (hard) gages such as plain plug, thread plug, plain and thread ring, pipe thread, snap gage, indicator, electronic probe, lever type indicator, micrometer, bore gage as well as temperature, humidity and angles.